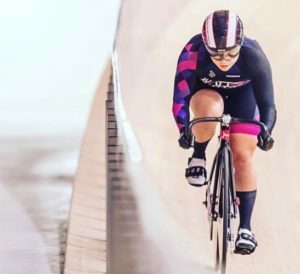 Courtenay transitioned from bobsledding to cycling in 2017 after being identified as having some serious potential in the RBC Training Ground Program. She took to track sprinting quickly and naturally and is excited to see how far she can go in the sport. Erin and Kendra where some of the first women Courtenay met on and got to ride with on the track (silent plug for the womens track cycling program) and was drawn to the team because of its unique blend of competitive drive, enjoyment, and passion for the sport.